Are You A Health Conscious Foodie? When we venture to a new land for a holiday with our friends or family, we tend to use it as an excuse to eat badly and let go of all of our healthy habits we try so hard to keep in check back home. A big challenge the health conscious foodie often face is the choice of food menu. However, you will be glad to know that there is no need to abandon all of your healthy eating habits because you are on holiday, as there is a number of health-conscious restaurants spread throughout Dubai serving up only a menu of healthy delights that will keep your diet and your healthy lifestyle on track. Being a health Conscious Foodie, you should be prepared with list of restaurants and food joints in the area you are visiting. 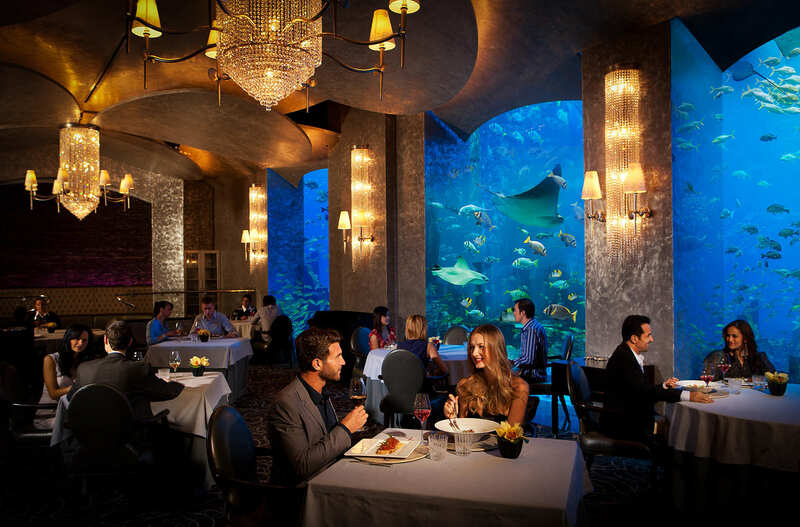 Located at the luxurious hotel in Dubai, a perfect destination for health Conscious Foodies, Ossiano is a fine dining restaurant serving up delicious seafood dishes that are served with fresh vegetables and sides made by their talented chefs. Serving every seafood option a health Conscious Foodie can possibly imagine, from blushing-pink salmon to fresh oysters, king crab to lobster, all of which are served with bright green salads and a variety of veg, it’s the ideal place to get your fill of much-needed protein and vitamin D.
Specialising in fresh raw food that is meat-free, dairy-free, gluten-free, sugar-free and free of any artificial preservatives, BeStro is located at The Dubai Mall and serves up a number of dishes that will nourish your body, soothe your stomach and give you a boost of much-needed nutrients. This place is a wonderful spot for health Conscious Foodie. From coconut-curried veggies to caulirice, marinated Portobello mushrooms to cashew slaw, their menu is extensive and jam-packed with deliciously healthy dishes that will have you wanting more. In addition to their dishes, they have a vast range of fresh, cold-pressed juices and lip-smacking smoothies which can tempt any health Conscious Foodie. Having been to this spot myself while in Dubai, Heat is the ideal place for a health Conscious Foodie to indulge in a number of healthy eats made for the calorie-conscious. Think gluten-free pizza with the ever-so-popular cauliflower-based crust and delicious Hawaiian-style bowl that is filled to the brim with grilled pineapple, chicken or steak, sweet bell peppers and healthy brown rice. Heat’s dishes are simple, low in fat and carbs and will satisfy everyone who takes a seat at one of their tables. It seems this place is exclusively great choice for health Conscious Foodie. 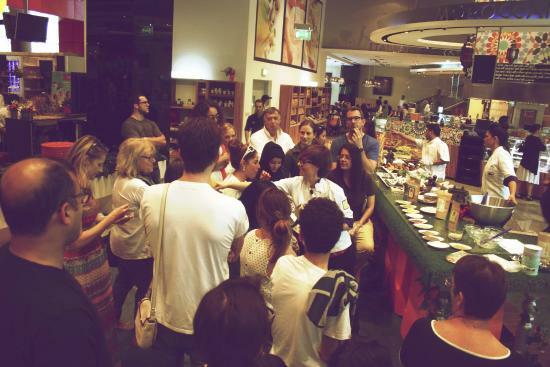 Dubai is a foodie’s paradise. Being one of the most cosmopolitan cities in the world, there is a restaurant that suits every culture, serving up scrumptious dishes from Italian to French, British to American. As the name suggests, this delicious boutique cafe is all about providing fresh fruit and veggies to their customers. This is a must visit place in Dubai for a health Conscious Foodie. 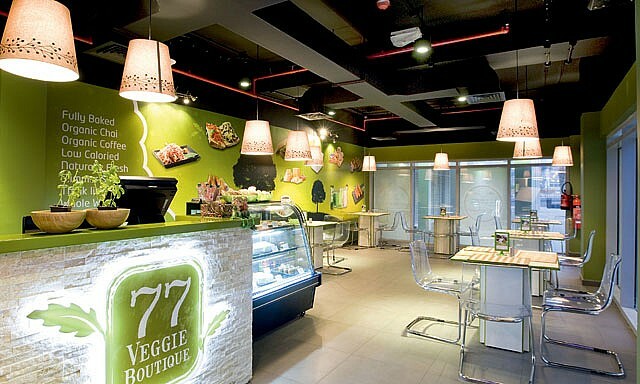 77 Veggie Boutique puts a very strong emphasis on healthy sourcing when they search and select their fresh ingredients. All of their coffees and teas are organic, and their recipes stick to using whole wheat, ensuring that each dish is as healthy as they can possibly be. In addition to their health-conscious menu, each dish has a calorie count, making diner’s decision process that much easier when they walk through 77 Veggie Boutique’s doors and helping diners to track their daily calorie intake without having to get out their calculator. This place seems to be a paradise for any health Conscious Foodie. There have been several celebrity chefs opening restaurants over the last few years – some of which include Gordon Ramsay and Jamie Oliver – that are keeping the city current when it comes to food trends, making a number of foods available – including the healthy kind – available to travellers and locals alike. A foodie at heart, Ibtisaam knows the difference between a roux and a roulade and can recite all the 3 starred Michelin restaurants by heart (well, almost). Writing about food (and eating said food) is what Ibtisaam is all about.